Talking music: Tonny Musaazi, known to many as Tonny Trumpeter, is one of the famous trumpeters in the country and while his skill is not unique to many, he has gone on to record music. Lawrence Ogwal caught up with him about his plan for the future as far as music is concerned. 1. How come you are the only trumpeter and recording artiste we have heard about? 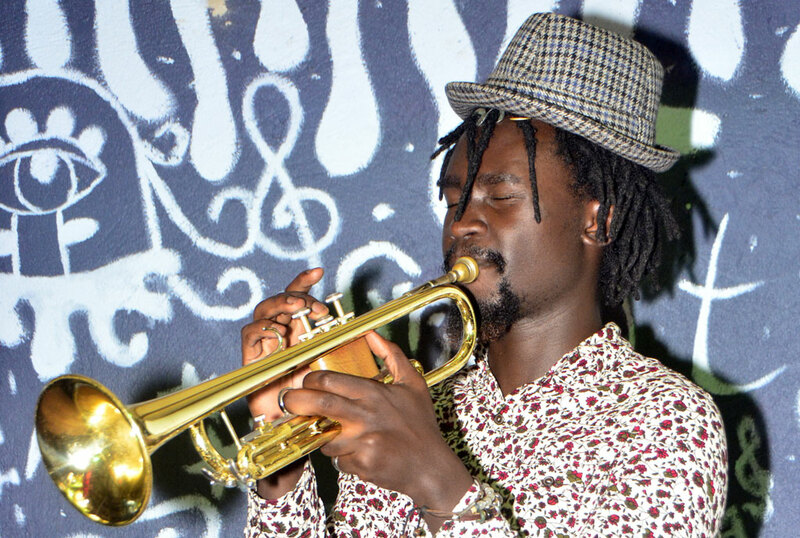 There are many trumpeters in Uganda, but what makes me different from them is that I record songs and perform covers as well. I am not saying it is bad to be just a trumpeter because the music industry has fewer resources to enable someone to do both recording and performing jazz instruments. For my case, I do not like limiting myself and I see recording as creating music and room for expansion and telling stories. Recording music also helps me identify myself and explore capabilities to do the art. The satisfaction derived from playing your own songs is far sweeter than playing covers. I feel like the trumpet has a rich sound compared to the saxophone. I played the saxophone before, but I preferred the trumpet, which I learnt playing while in my primary school and the transition was from church to the secular world, which I mastered with practice. 3. Do you play with a particular band? I own a seven-member band known as TMT, which I started last year. Besides my band, I also play with Baximba Waves, Blue Excuse, Tribe Band, Black Roots Unlimited and Roots Warriors, among others. Many people have always asked me why I still perform with other bands but I feel like when one is talented, they do not have to limit themselves, but rather share the music because when one is good, they can perform everywhere. My dream is to do more of my own compositions and hopefully in future launch a solo career. 4. What kind of music do you do as a recording artiste? I have two albums; Oli Wange, which has five jazz songs – two original and three covers and then Do Me Good, which has nine songs –seven original and two covers. I performed the trumpet cover for A Pass’ song, Dididada. 5. What distinguishes jazz music from other genres? Jazz, unlike other genres, is expensive to do, in terms of assets and all those musical instruments. Besides that, it is a growing genre because you will see bands performing everywhere at least every week. Jazz Safari is marked on the calendar as one of the best jazz events in the country. I performed at Jazz Safari last year and at festivals in Japan, Rwanda and Kenya, among other festivals. My real name is Tonny Musaazi. I was born 24 years ago. I attended St Andrew Primary School, St George High School and graduated at Kyambogo University. I like playing pool and drinking beer, I drink any time any day.